The memory of the poet Rehman Baba, a symbol of "peace and tolerance" for the entire country, has been profaned. Islamic extremists unleashed the violence because women were permitted free entry to the shrine. Today, the local population held a protest demonstration. Peshawar (AsiaNews) - The terrorist attack on the shrine of the Sufi poet Rehman Baba demonstrates the "kind of country" that "Taliban fanatics" want to make out of Pakistan. Even more serious is the fact that the shine was attacked "because it was open to women." In this way, there is a tendency toward "the deterioration of the level of security in the country." This is the cry of alarm issued by the Human Rights Commission of Pakistan (HRCP), according to which the country runs the risk of progressive "Talibanization." Yesterday in Peshawar - capital of the North-West Frontier Province, on the border with Afghanistan - the Taliban bombed the shrine of the 17th-century Pashtun language Sufi poet, beloved all over the province and in neighboring Afghanistan. Rehman Baba is considered a symbol of peace and tolerance, and his writings are still studied today for their message of "love of God" and respect for neighbor. 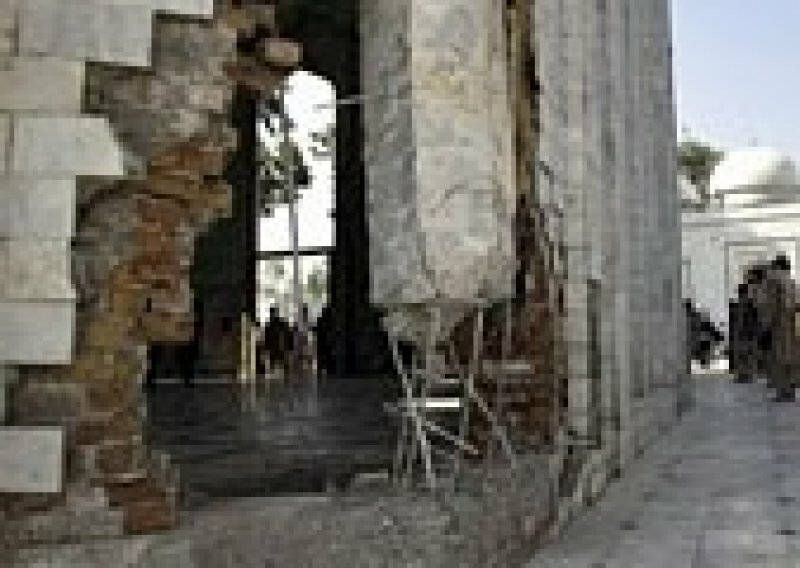 The explosion happened yesterday at 5:10 in the morning; the white marble shrine suffered serious damage, but there were no deaths or injuries. The HRCP recalls that Rehman Baba is an icon "not only of the Pashtun people, but of the whole of Pakistan," and that it is "ironic" that the shrine of a poet "revered for opposing oppression and advocating peace and tolerance had been targeted by militants." Local government sources say that in recent days, the Taliban issued a warning, demanding that women be banned from entering the shrine. According to the police, the mastermind of the attack is Mangal Bagh, head of the extremist movement Lashkar-e-Islam. Recently groups of men with long hair and beards had repeatedly visited the site of the attack. Today, the local population organized a demonstration to protest against the attack. Harsh condemnation is also coming from Pakistani prime minister Yusuf Raza Gilani, who is asking investigators for "in-depth investigations," so that those responsible "may be brought to justice."